Marjorie Strider was an American painter, sculptor and performance artist best known for her three-dimensional paintings and site-specific installations/sculptures. It has often been said that this artist’s pieces placed the techniques of Minimalism within a Pop art milieu. 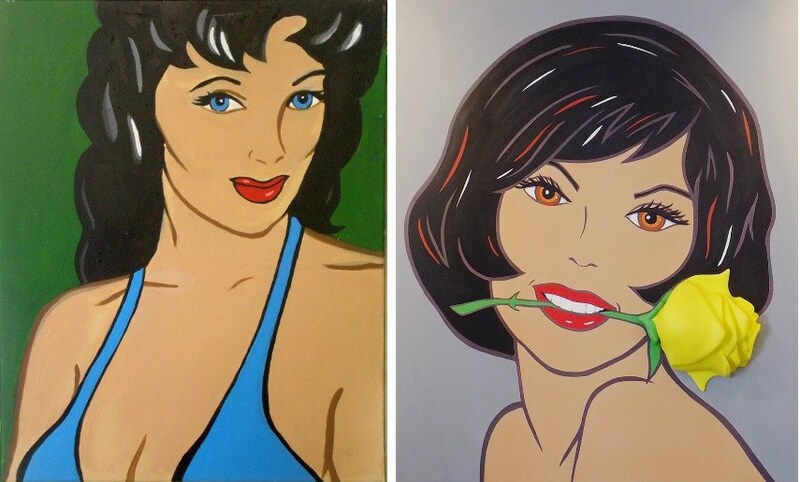 Marjorie Strider is perhaps best known for her Triptychs, a series of paintings created during the 1960s that was inspired by the images of pin-up girls. She would later develop her own breed of art making called Process art, a technique created because purely painted or mixed media pieces done on a flat plane couldn’t give Strider what she wanted. Marjorie Virginia Strider was born in Guthrie, Oklahoma, in the year of 1931. She studied art at the Kansas City Art Institute before moving to New York City in the early 1960s. 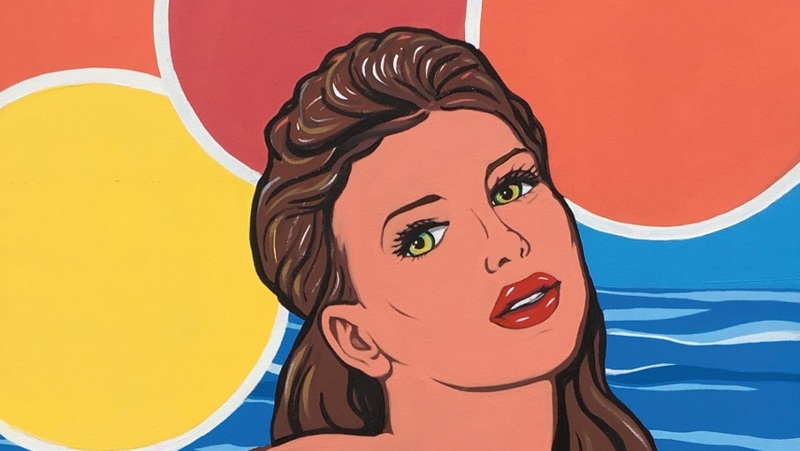 She soon became a hot topic within the world of art as Strider’s three-dimensional paintings of beach girls were featured alongside other “pin-up”-inspired Pop art by Rosalyn Drexler, Roy Lichtenstein, Andy Warhol and Tom Wesselman. Her bold figural work aimed to undermine sexist images of women in popular culture by turning objectified female bodies into menacing forms. 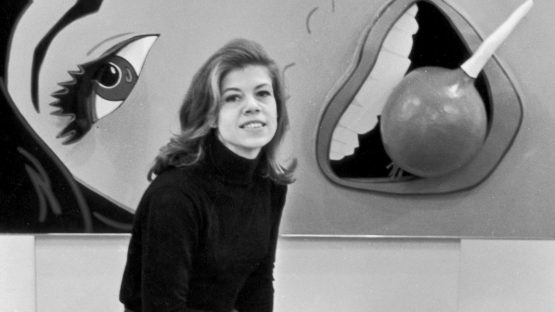 Marjorie quickly became a core member of the 1960s avant-garde. Strider married Michael Kirby, a contemporary artist and writer, in the year of 1965. Perhaps it was the intimate friendship with the Oldenburgs that led Strider to redirect her artistic focus from hard sculptural paintings to soft sculpture in the 1970s – these works are similar in style and intent to Lynda Benglis‘ floor paintings created at the same time. A few decades later, Marjorie began to make paintings with tactile surfaces that were more Abstract Expressionist than Pop. She died at her home in Saugerties, New York, on August 27, 2014. As a female artist among a movement dominated by men, it was always surprising that Marjorie Strider tackled an unlikely subject of the pin-up girl, a theme that was virtually synonymous with the objectification of women. However, Strider’s work was a study in contradictions as she used pictures of pin-ups in order to overcome what the very pin-ups were causing in the first place. It is this skillful contradiction that generates the humor and pleasure we derive from Marjorie Strider’s art and is what marks its historical importance. Another aspect that placed this artist on the map was that Strider’s art evinced the characteristic Pop approach, both celebrating and critiquing aspects of modern American life, but it also was interested to move beyond it in order to explore questions at the essence of modernism. In her fifty-year career, Marjorie Strider had relished in transgressing conventions and became a master of defying viewers’ expectations. And by doing so, she established herself as a major player in the 1960s avant-garde scene, presenting her own works and collaborating with colleagues, most notably working on the famous Happenings with Claes Oldenburg. Ultimately, Marjorie Strider’s legacy was cemented by her decision to place her Pop culture subjects within a formal, medium-centered ethos, as well as for devising a method of art making completely her own.